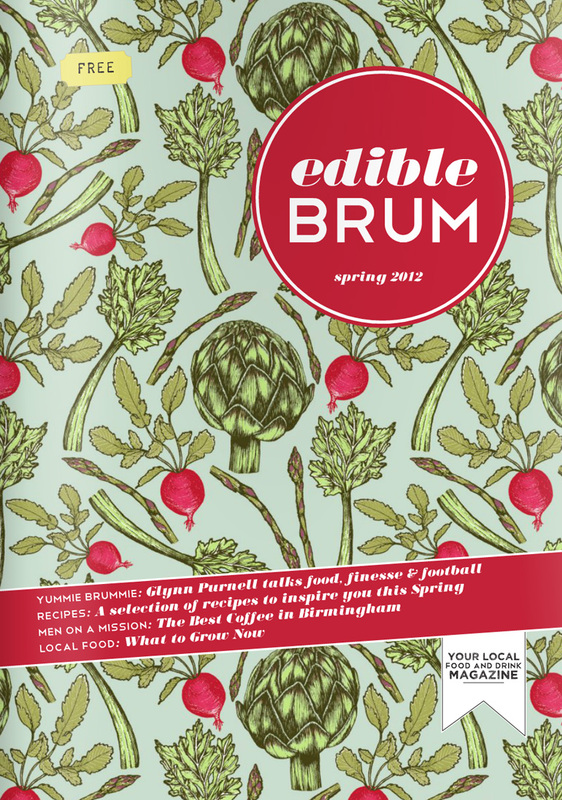 Project: Front cover design for new Birmingham based food magazine. Brief: Illustrate and design a pattern inspired by archival prints of seasonal produce for use as the front cover of the Spring issue. To estimate how many rolls of Edible Brum Magazine you'll need for your project, enter the dimensions of the area you wish to wallpaper below. A standard 30cm/11.8in excess has been incorporated for each drop.